The Motivation Hotel: Bad things open your eyes. Bad things open your eyes. 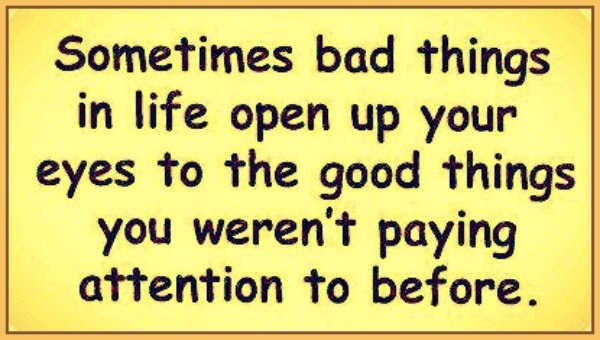 Sometimes bad things in life open your eyes to the good things you weren't paying attention to before.